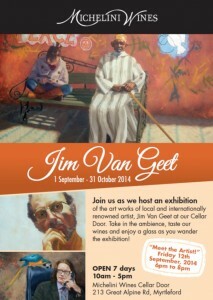 Jim van Geet hails from North East Victoria. He’s a regular entrant in the Archibald Prize and other major portrait awards he loves to paint the human figure. 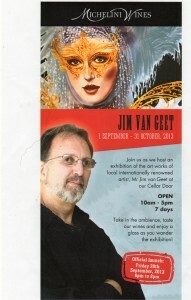 Jim will bring a selection of 20 – 25 large scale portraitures to MAMA, which will sell for $2000 – $12,000. Some smaller works will also be available for a lower price. His exhibition, Soul Journey, is described as a powerful series that illuminates not just the subject or the sitter in a physical sense, but brings to light who they are internally, their desires, passions and past. Portrait subjects range from High Court Judges to homeless street dwellers. 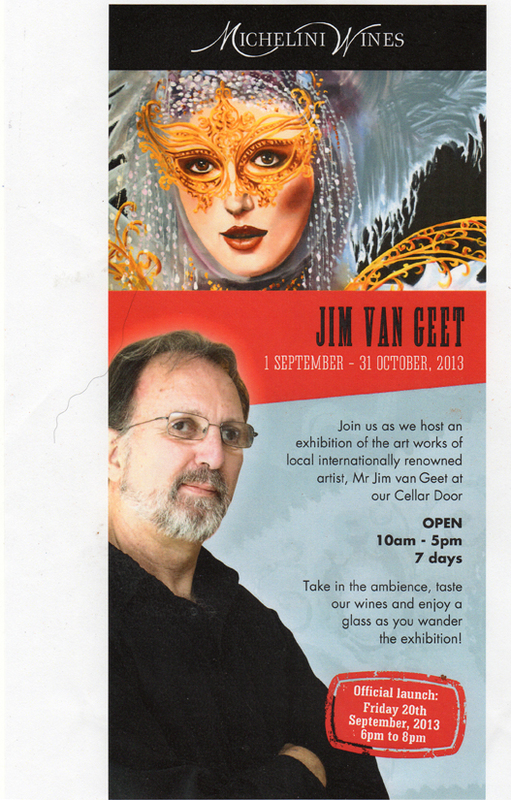 Jim has exhibited throughout the world and his works can be found in homes across Australia, Britain, France the US and Holland. For buyers and admirers, don’t miss your chance to meet artist Jim van Geet and discuss his latest collection of works. My solo Exhibition ” Soul Journey ” starts on 7th April at MAMA ( Albury Regional Gallery ). Solo exhibition at Michelini’s Winery in Myrtleford from 1st, July to 31st. August. I will be at the opening on Friday 3rd. so drop in and say hello or call me anytime, the studio’s not far away.